Taken at: Tanah Lot, Bali, 2016. 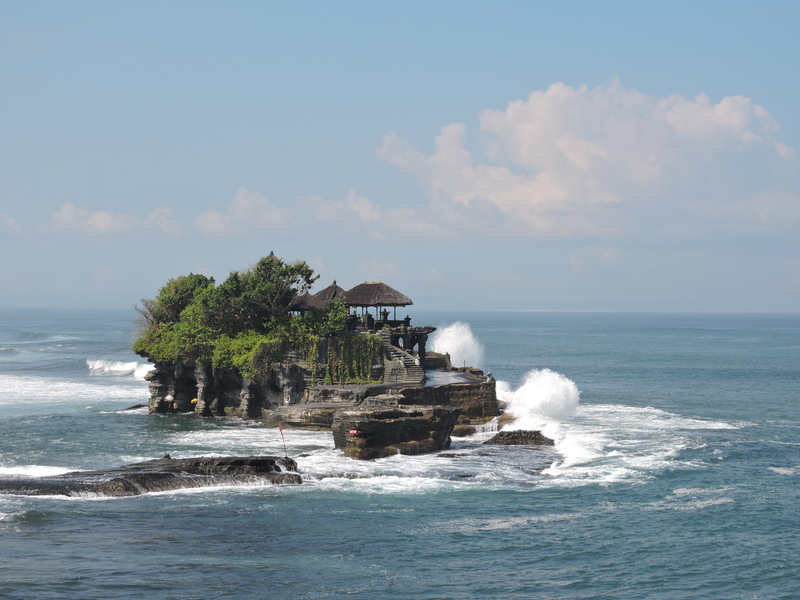 If you’re ever in Bali, I highly recommend visiting Tanah Lot. Yes, it a bit overcrowded with tourists, but the beauty of the temple and rock formation still remains. It’s busiest at night, as the sunset here is beautiful, but I actually really enjoyed visiting during the day. Watching the waves crash onto the temple had something magical about it, and despite the crowds, I felt at peace.